Today’s Telone graduation ceremony was marked with a delightful announcement. Telone Center for learning (TCFL), Telone’s training college that offers Diploma and Certificate studies in Information and Communication Technology will soon evolve into a university. TCFL is revered for its training. However, a few number of people know its existence. But by becoming a university, the institution will be easily recognizable to most people thus making this transition a good logical step. In trying to counter the evolving trends in the technology sector, TelOne has come up with a master plan for the TCFL to become a specialized Information Communication Technology University which we expect to start the full roll out 2019 and an expected full completion by 2023. The development will see us growing our student enrollment from the current 1318 full-time students to 6600. Already, work to put in place the skills and material resources as well as meeting all the ZIMCHE requirements has begun. We also look forward to leveraging on our partnerships as well as the experiences from the current degree programme to achieve this goal. TCFL has, of late, been offering a degree programme through a partnership with National University of Science and Technology (NUST). 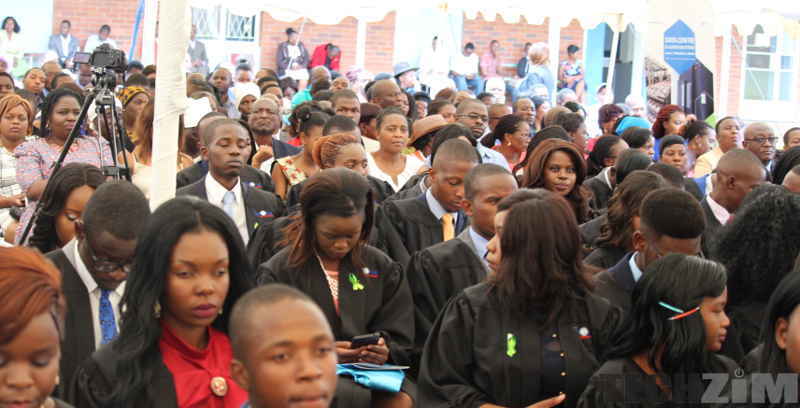 The reason why TCFL partnered with NUST is that it doesn’t have a Zimbabwe Council for Higher Education accreditation to offer degree programmes. In light of this, if TCFL becomes a university it will no longer need to partner (which comes with binding contractual agreements and revenue/profit sharing) with anyone offer degree programmes. They will just do it alone. Do they have water in the toilets now?